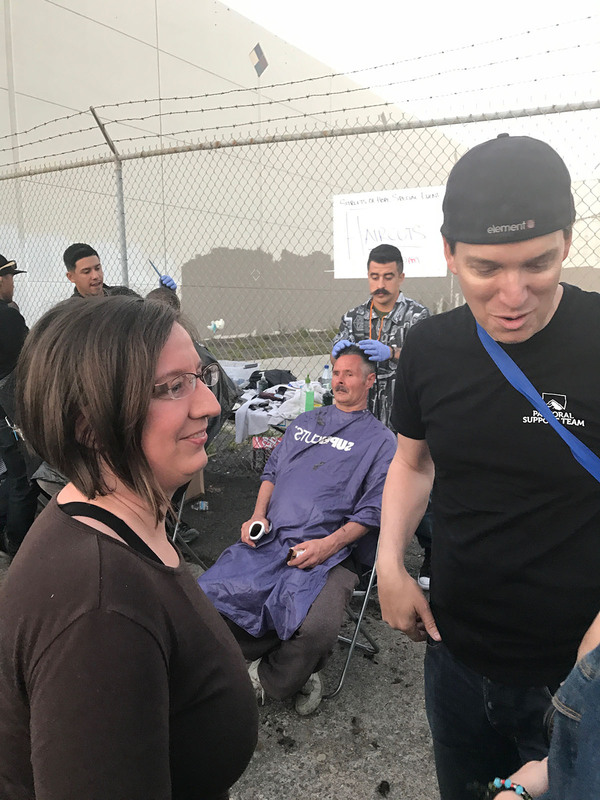 There were so many great stories from the night. 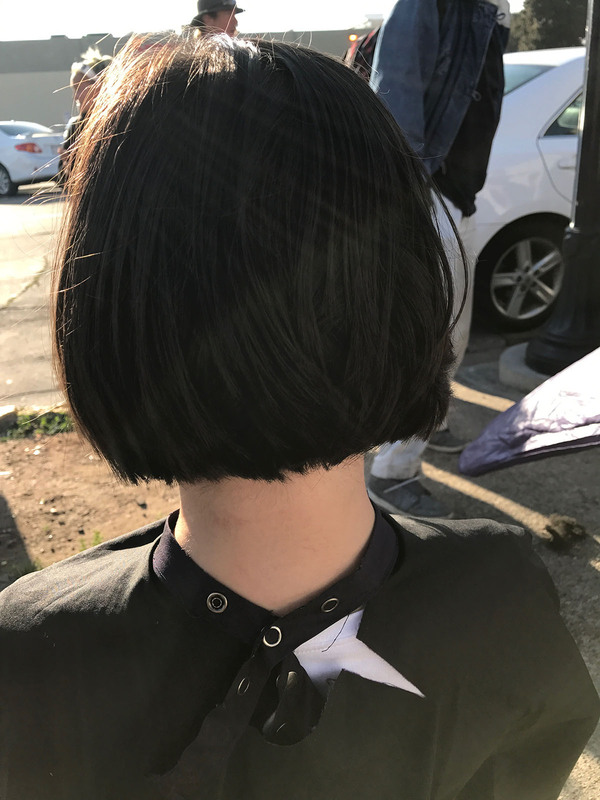 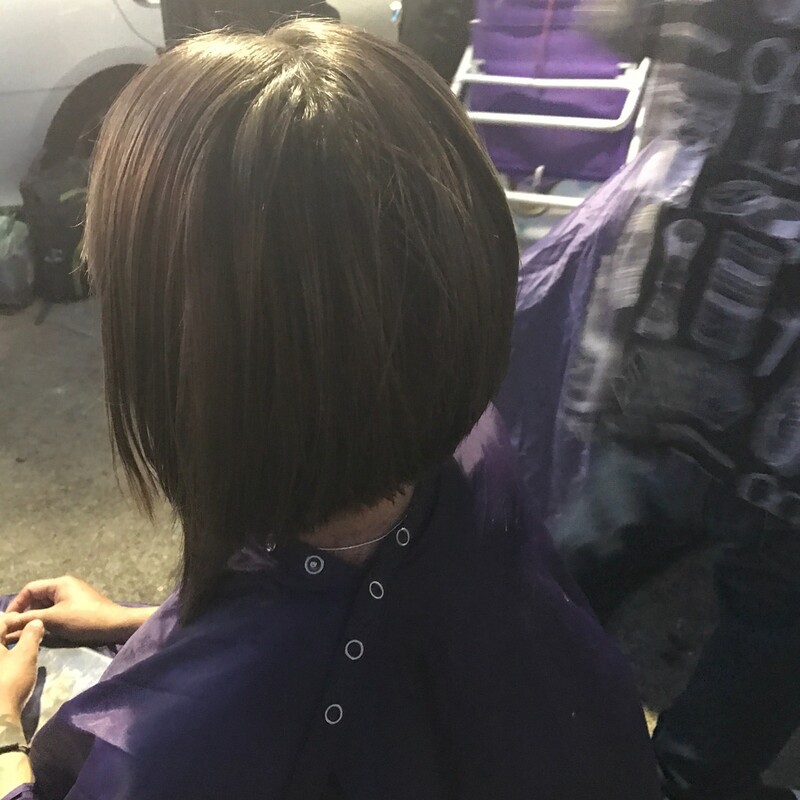 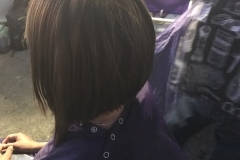 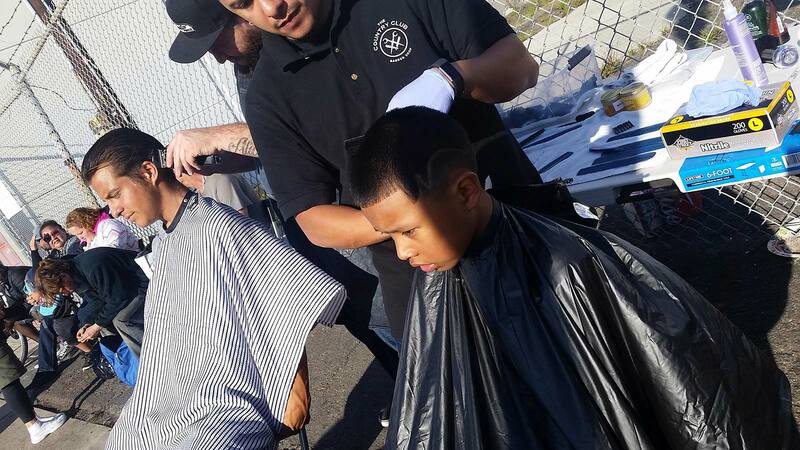 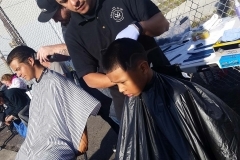 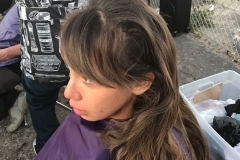 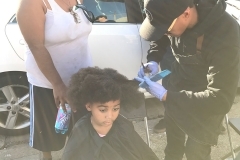 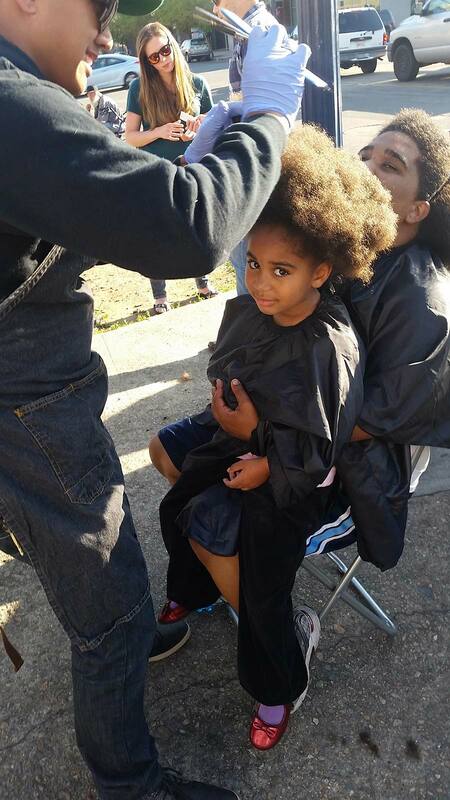 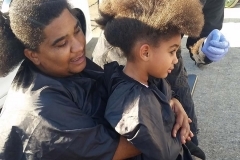 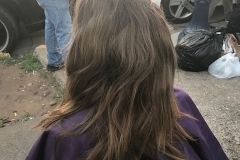 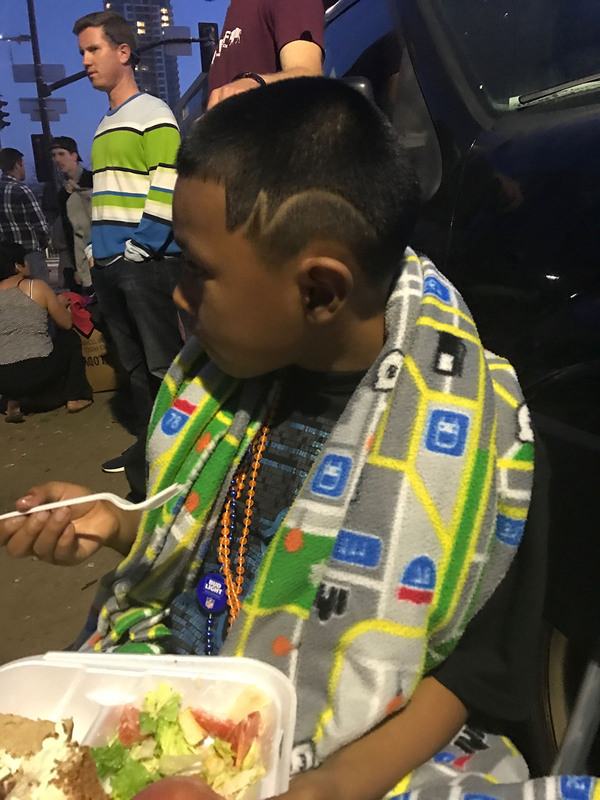 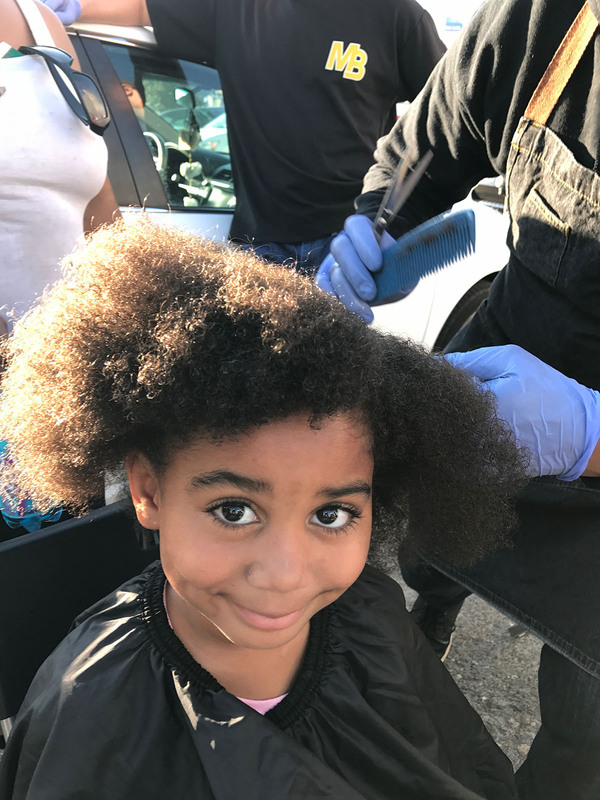 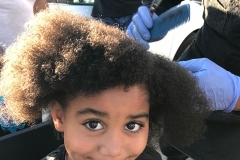 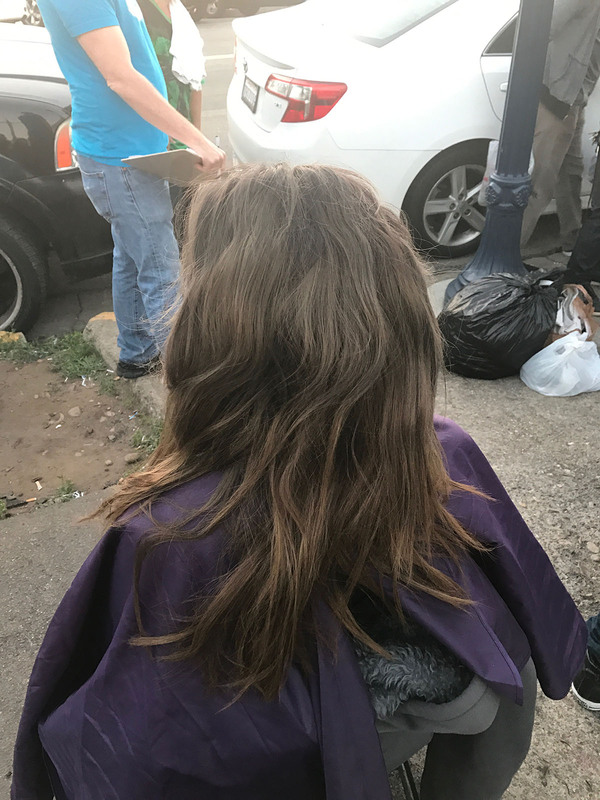 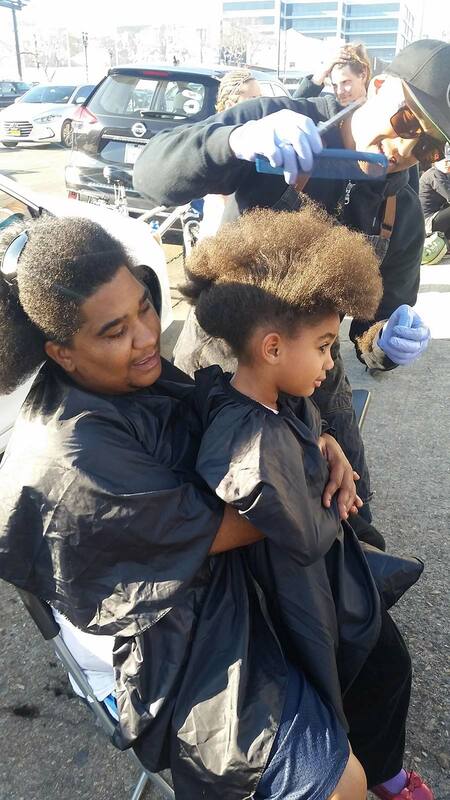 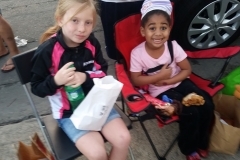 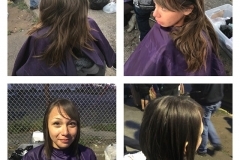 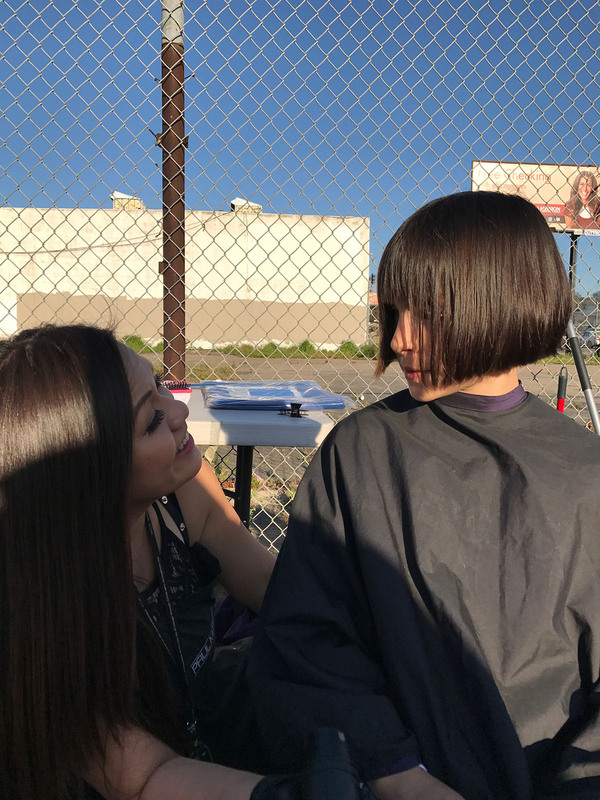 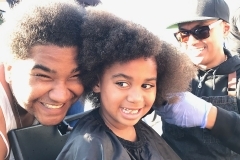 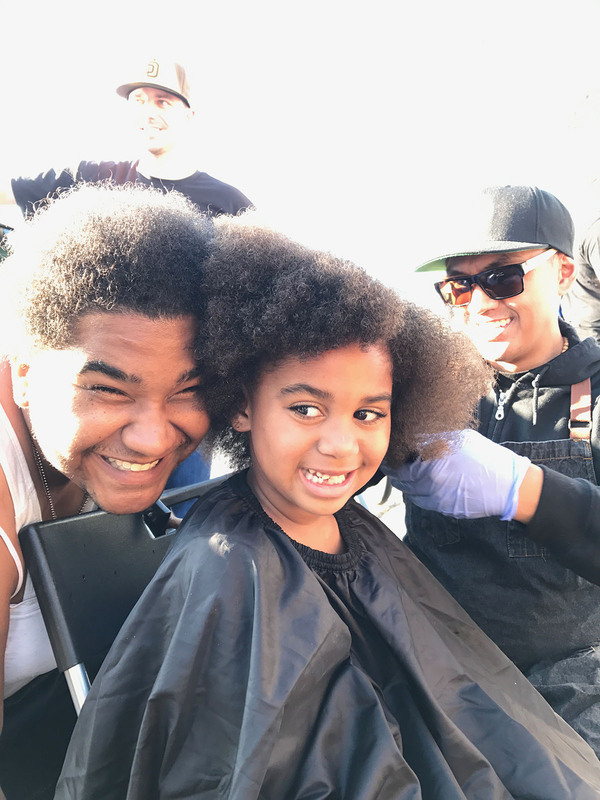 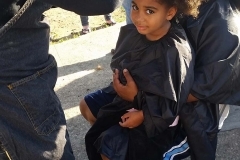 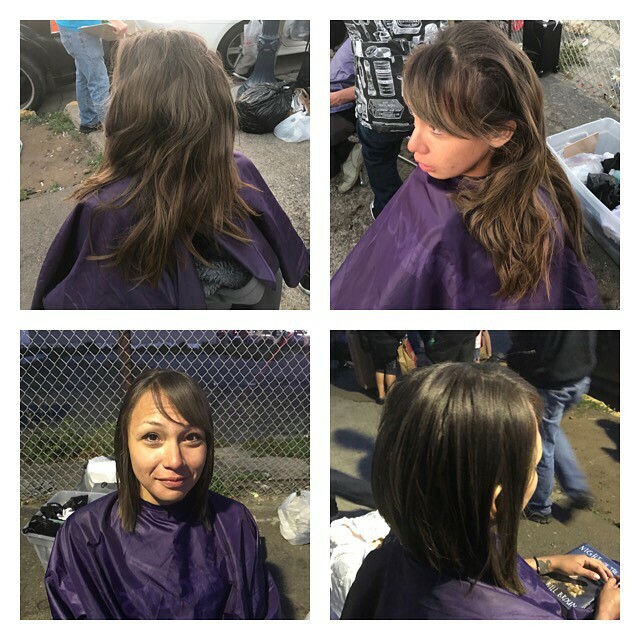 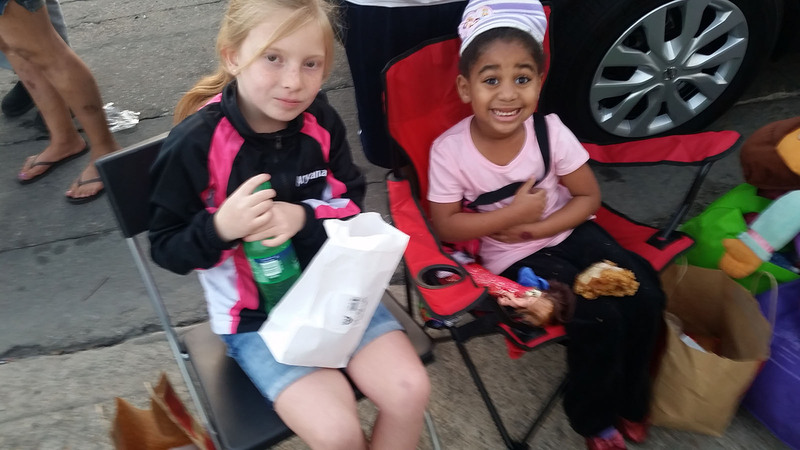 Click here to read about Lauren, a little homeless girl, who had her hair cut for the first time! 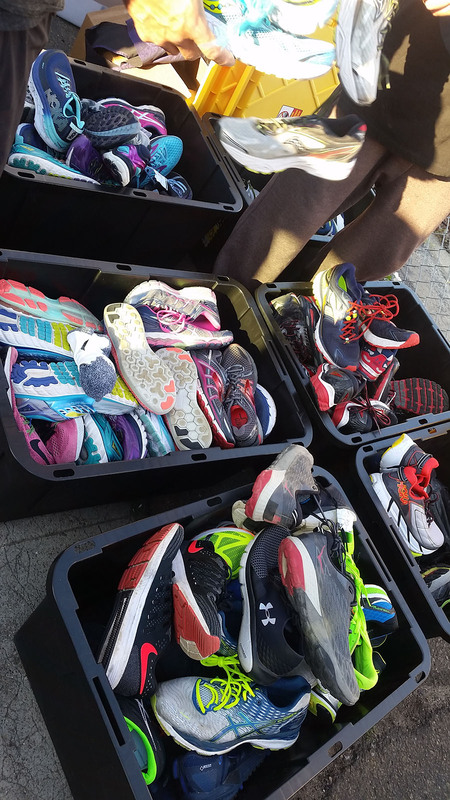 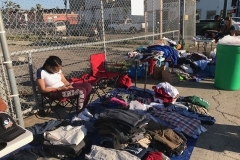 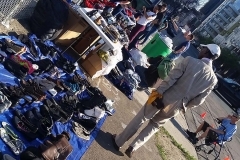 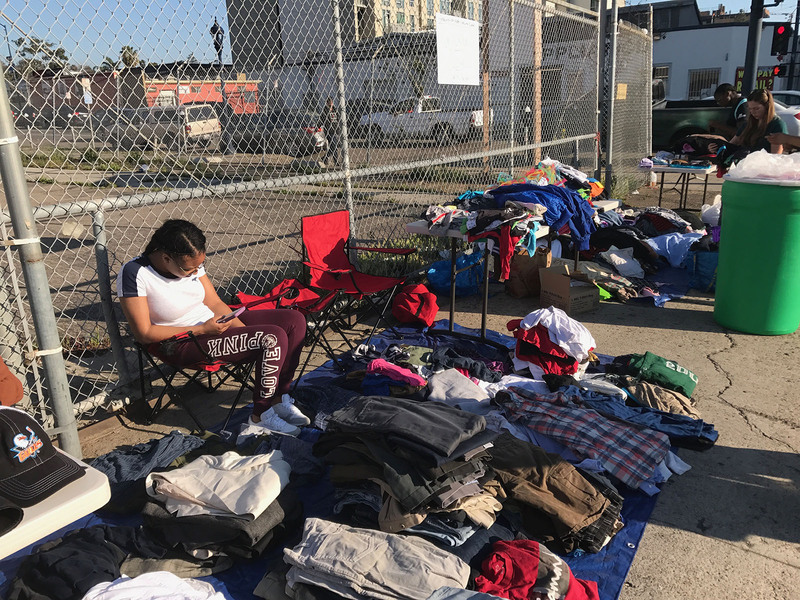 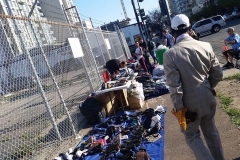 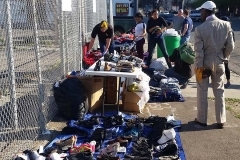 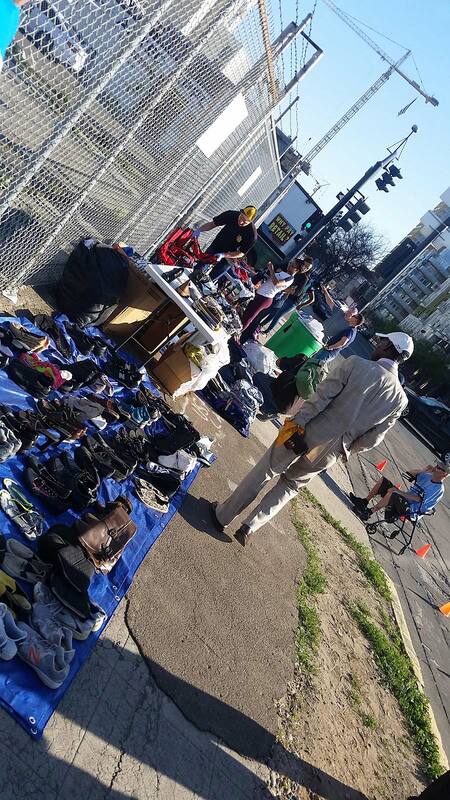 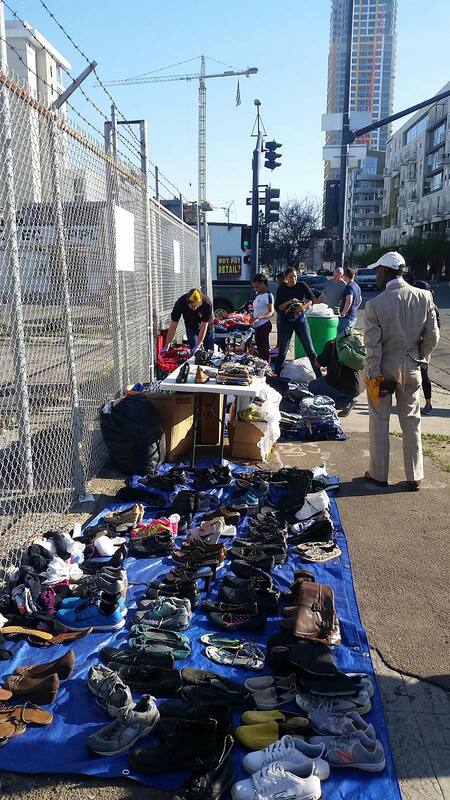 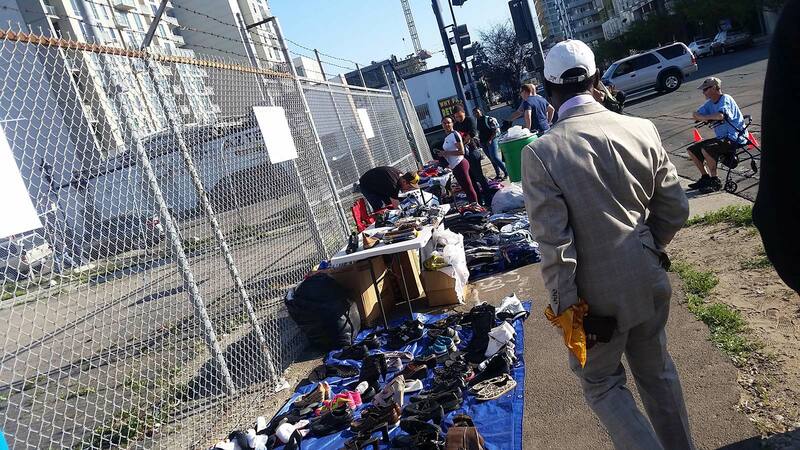 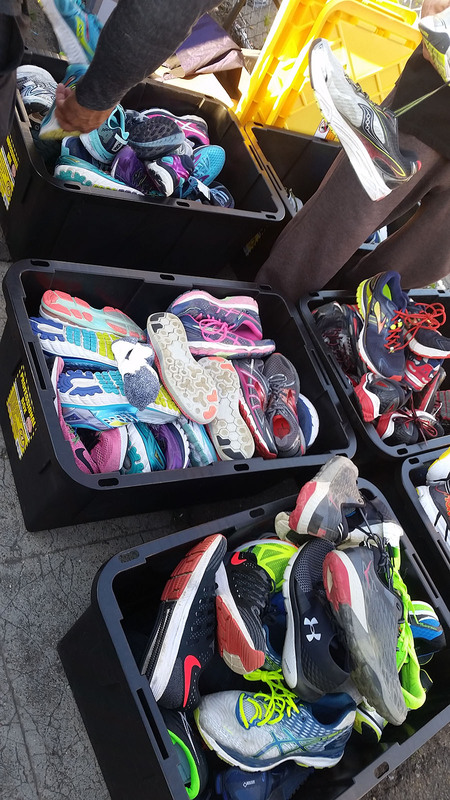 Over a 1000 Articles of Clothing Passed Out! 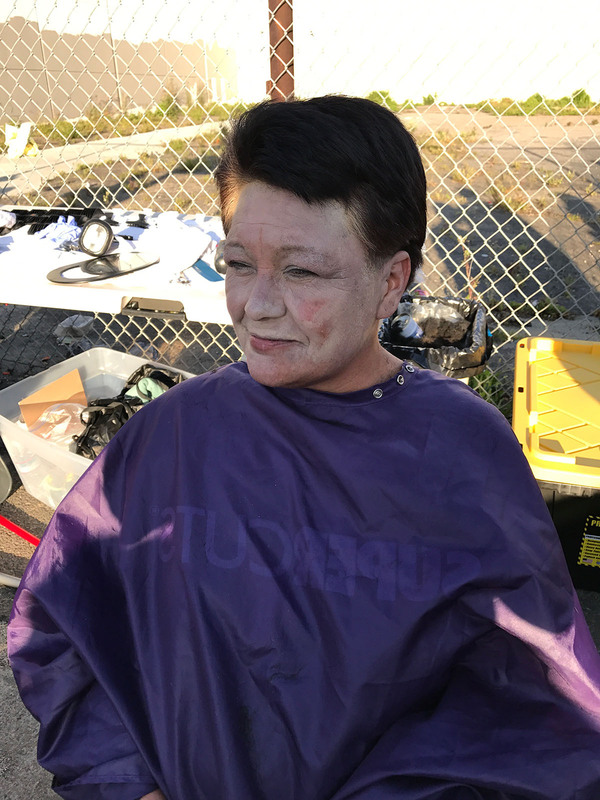 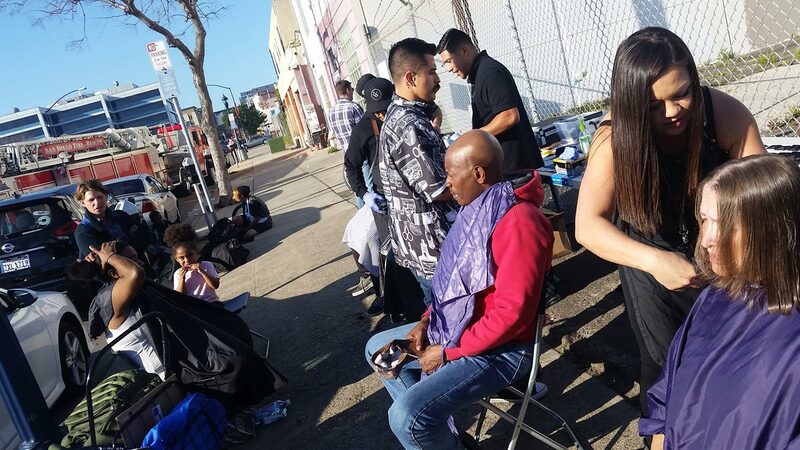 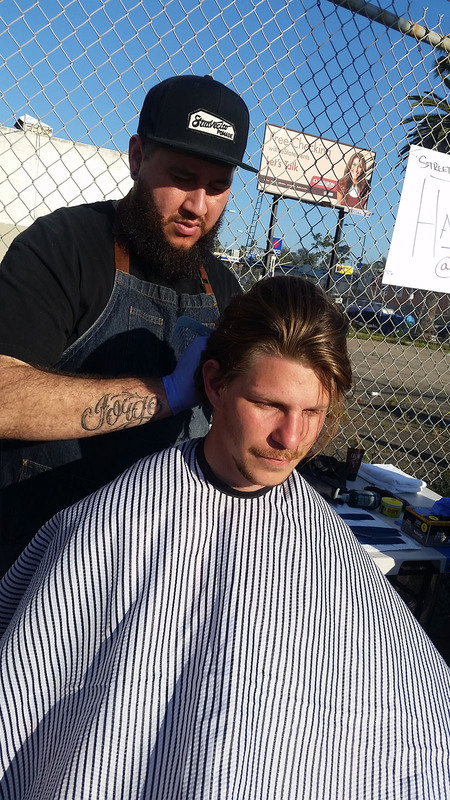 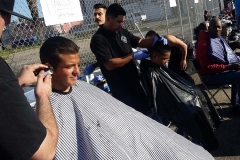 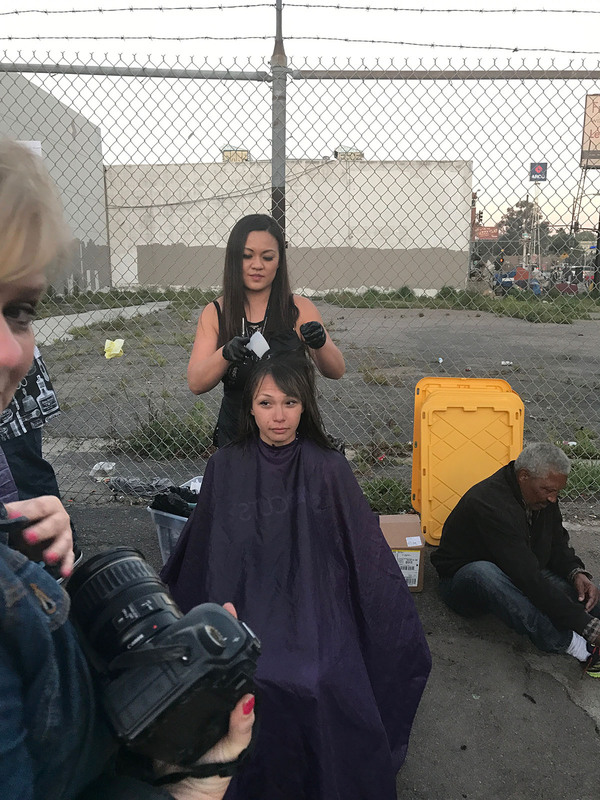 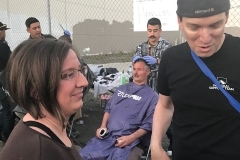 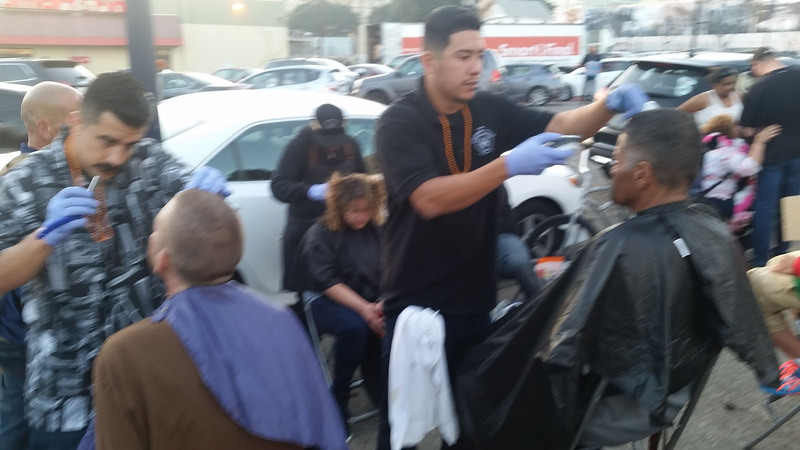 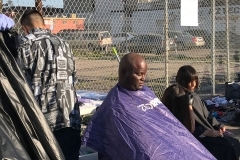 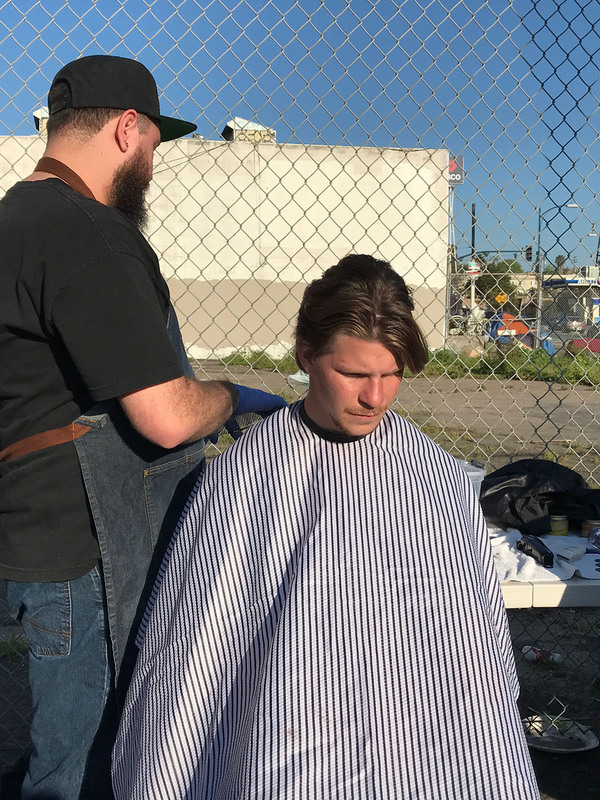 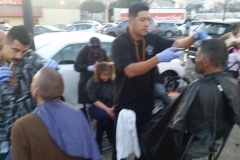 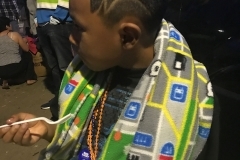 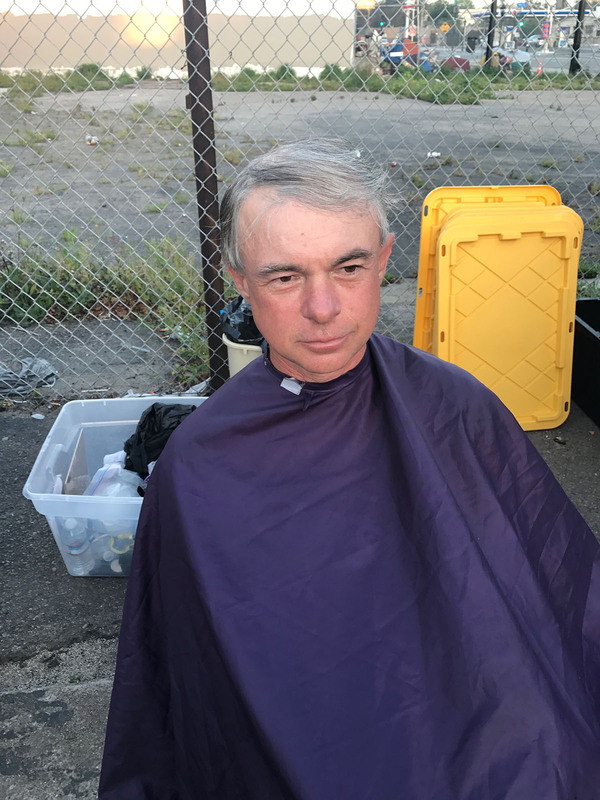 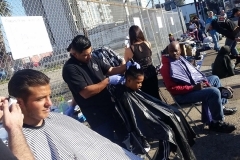 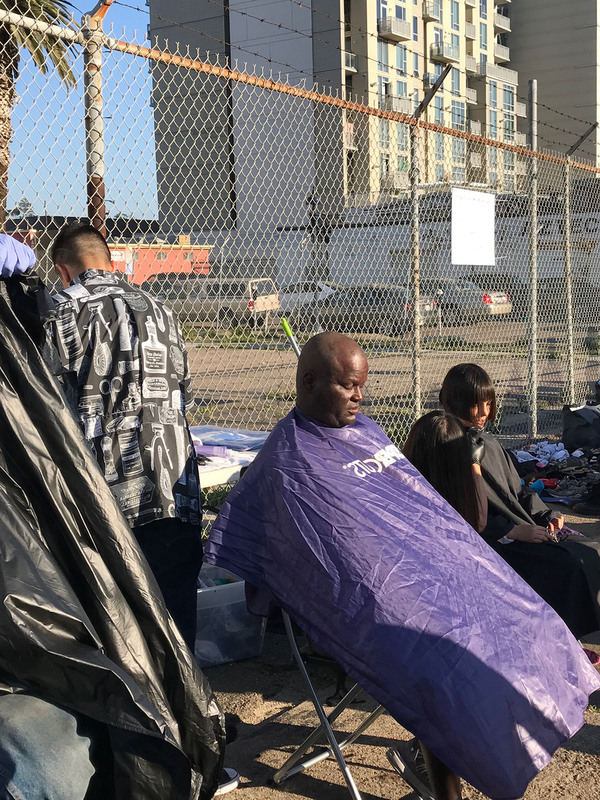 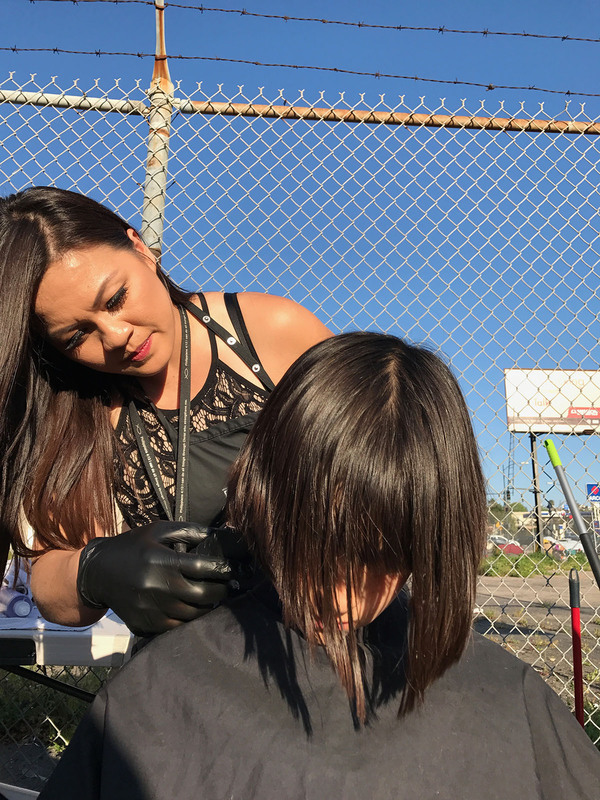 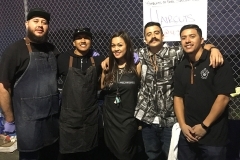 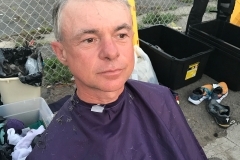 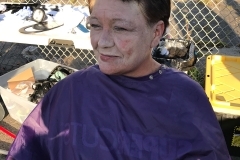 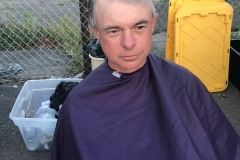 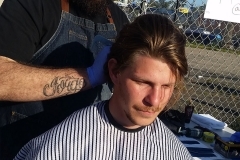 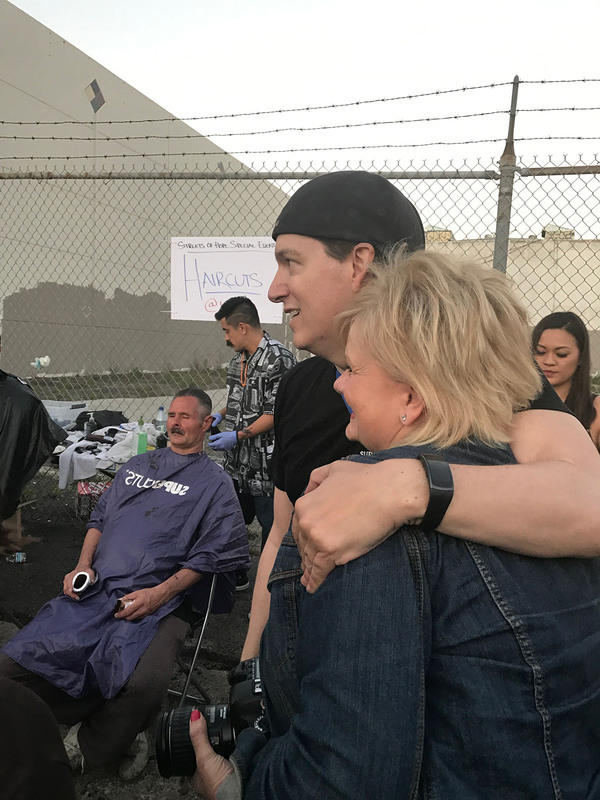 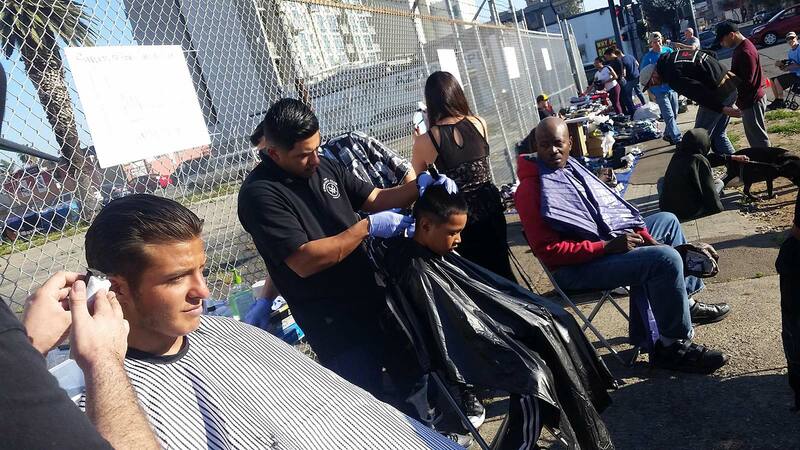 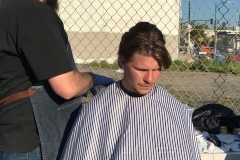 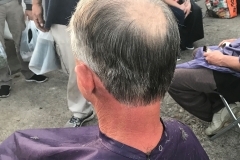 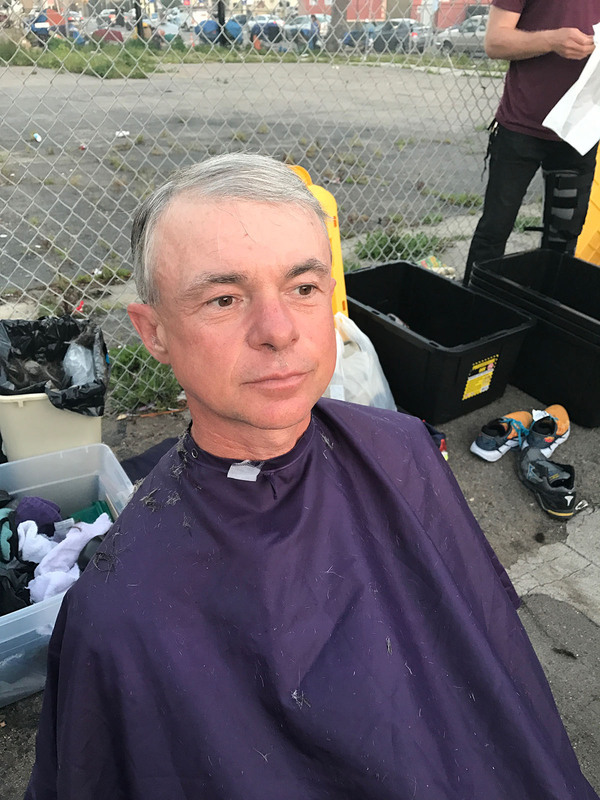 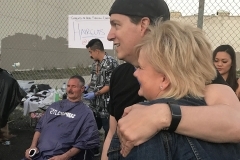 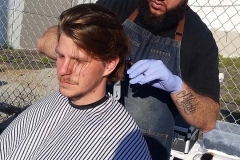 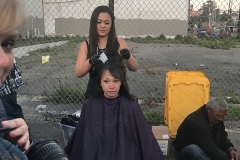 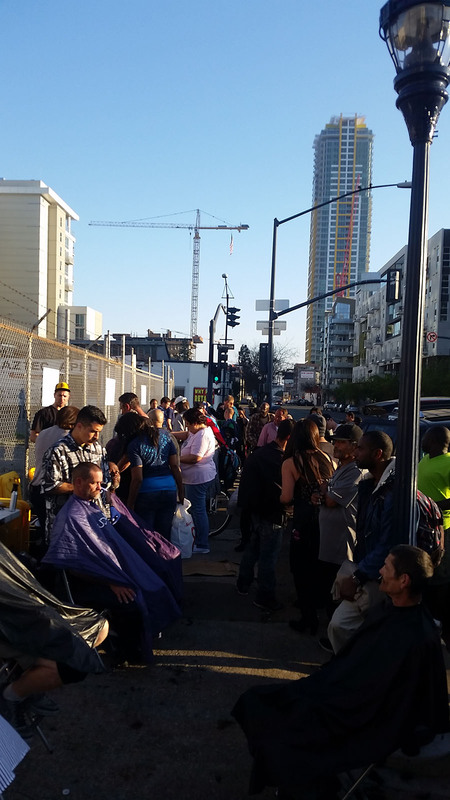 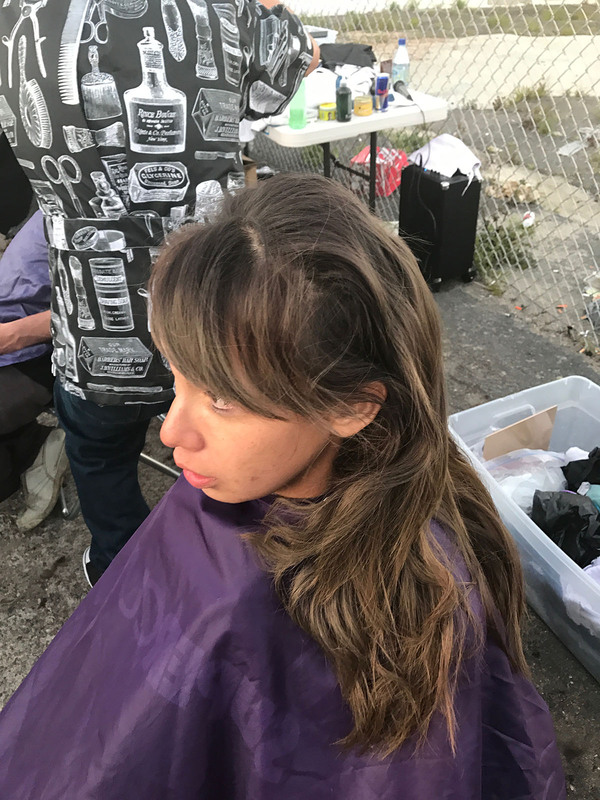 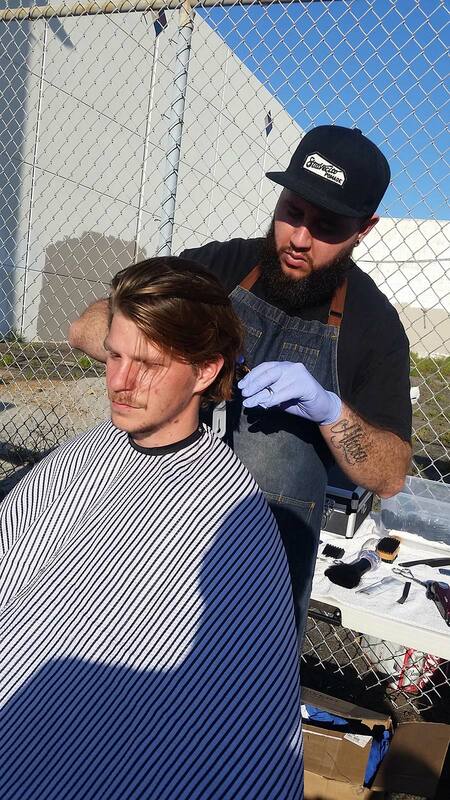 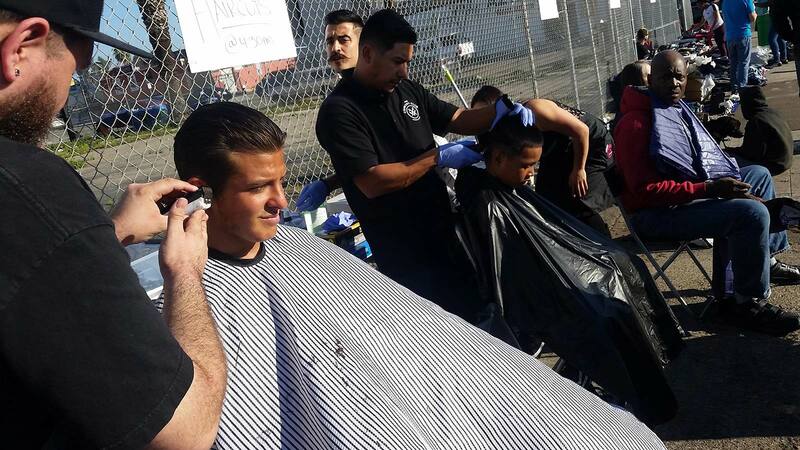 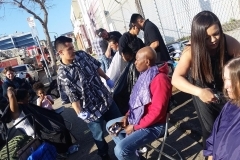 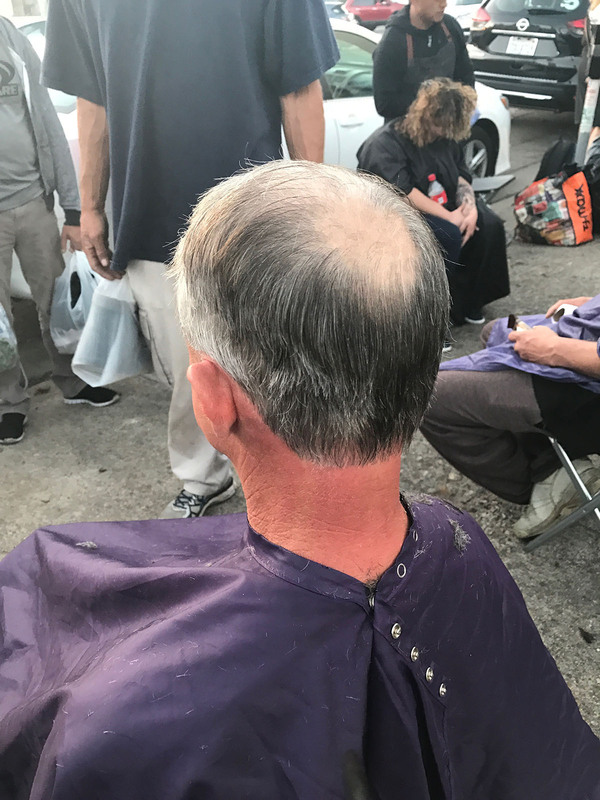 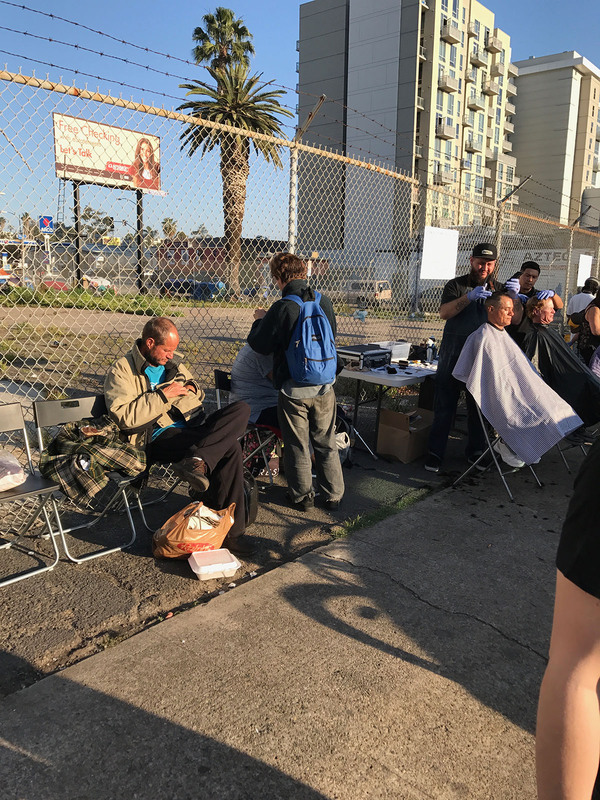 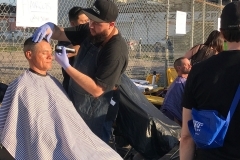 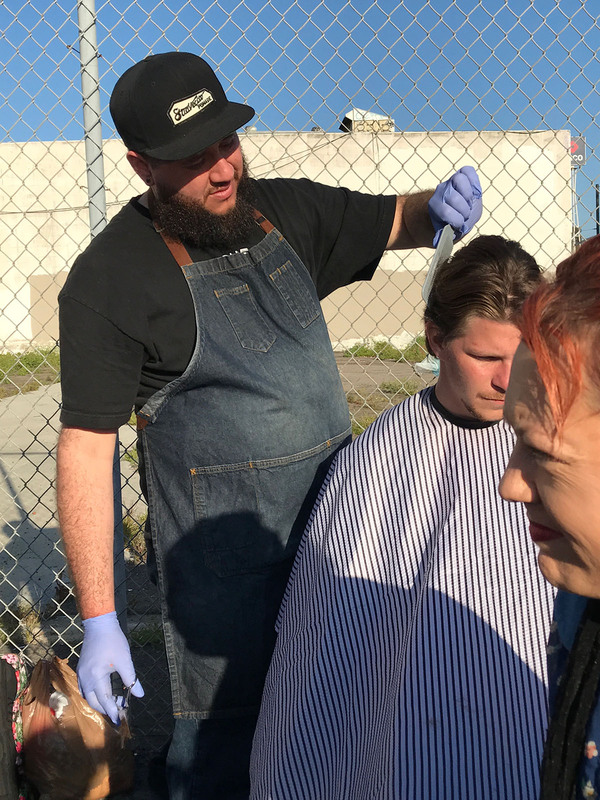 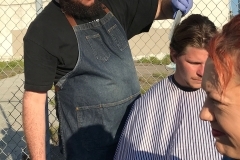 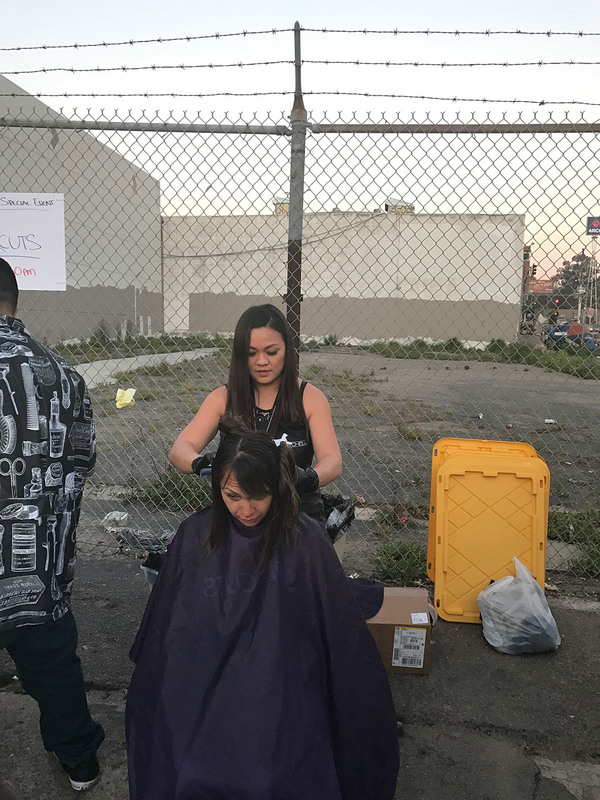 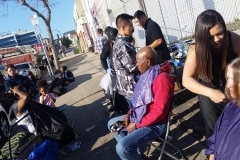 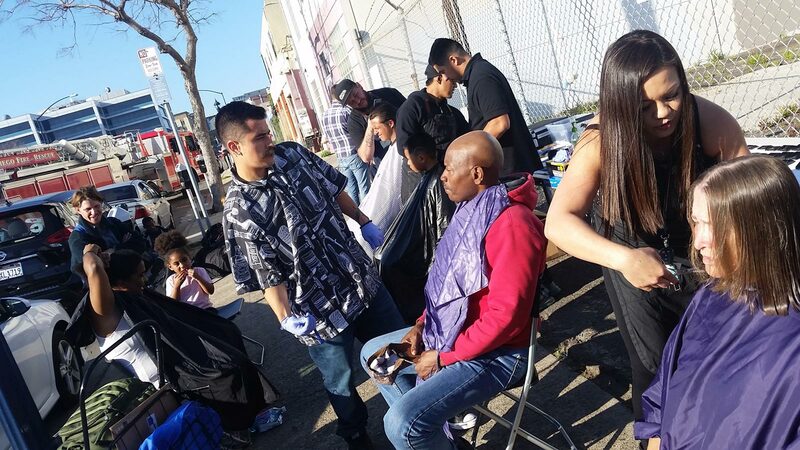 The amazing hair stylist of the Country Club Barber Shop, along with Tammy, cut over 35 homeless people’s hair. 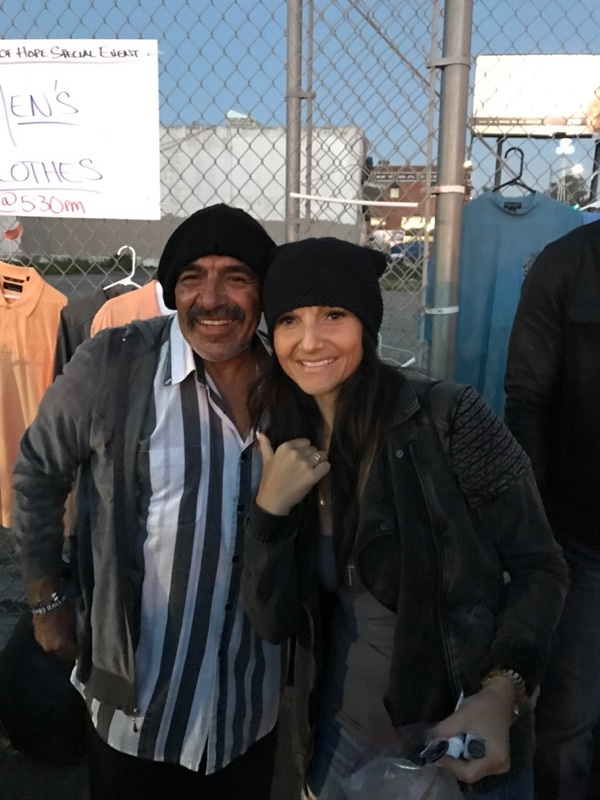 Be sure to see some of the photos below. 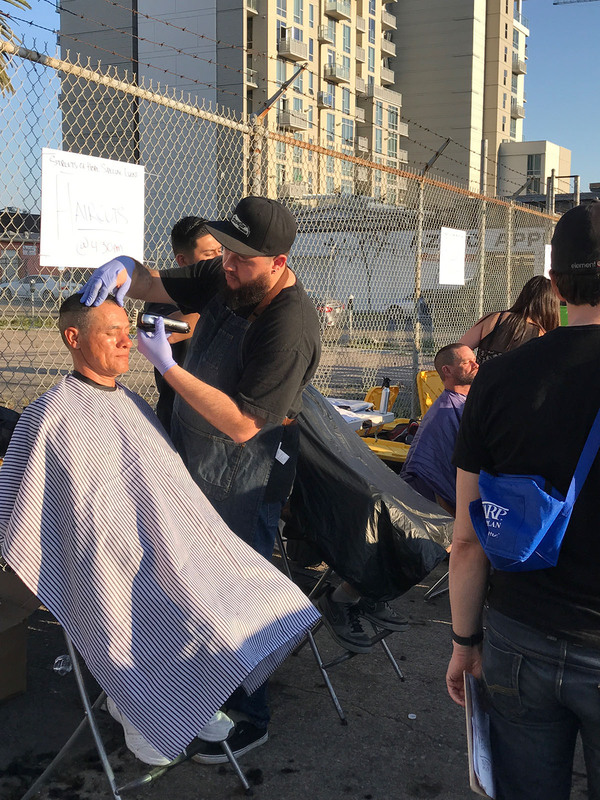 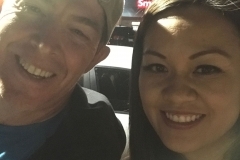 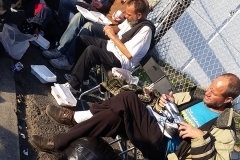 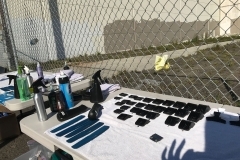 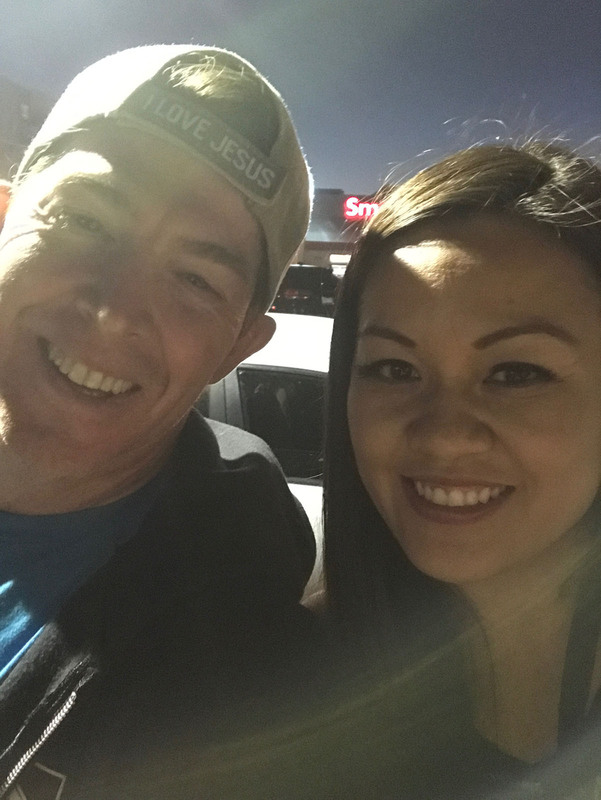 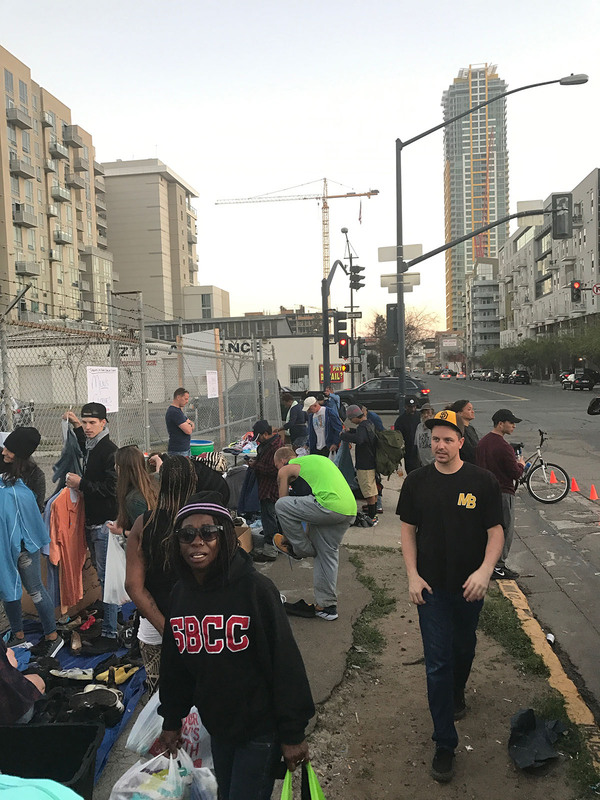 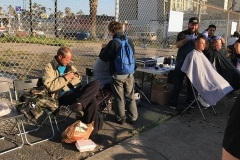 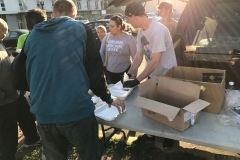 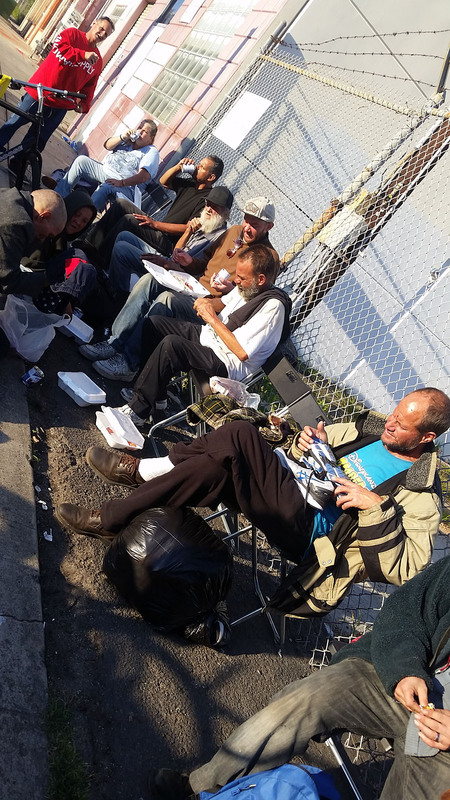 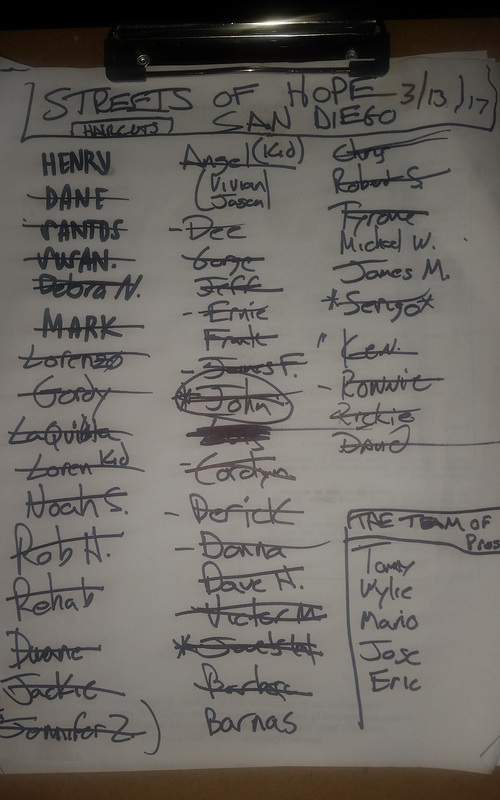 Thanks Ryan T. Geertsma, author of The Tiny Book of God’s Big Promises, for donating over 1000 copies of his new book to pass out to the homeless! 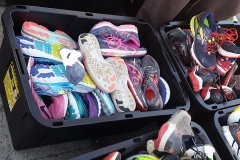 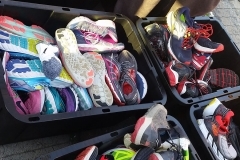 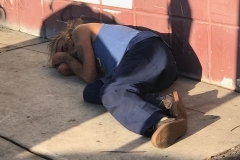 Please help us with your giving donations. 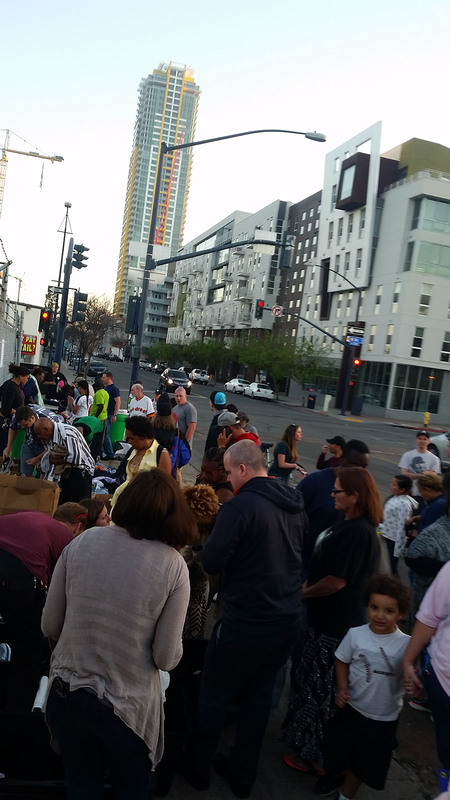 We are a 501c3 and when you give your donation online, you will automatically generate a tax donation letter! 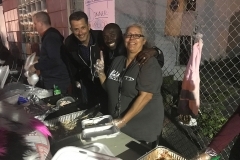 Click here for more details on how to give. 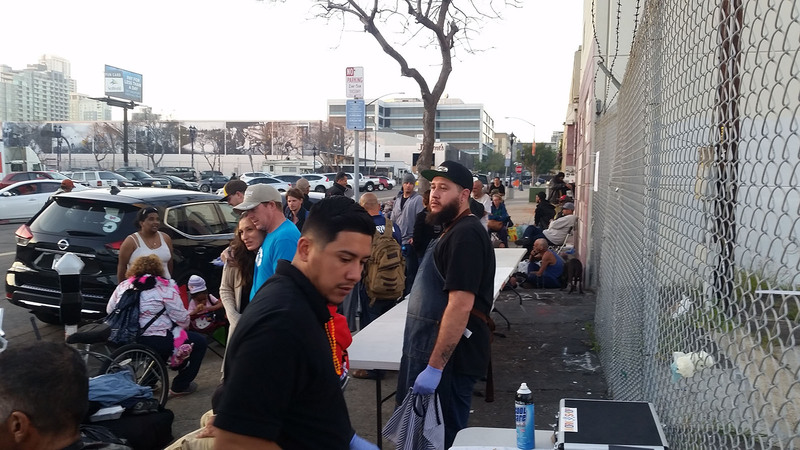 Click on an image to see it larger and to start a slideshow of our homeless special event. 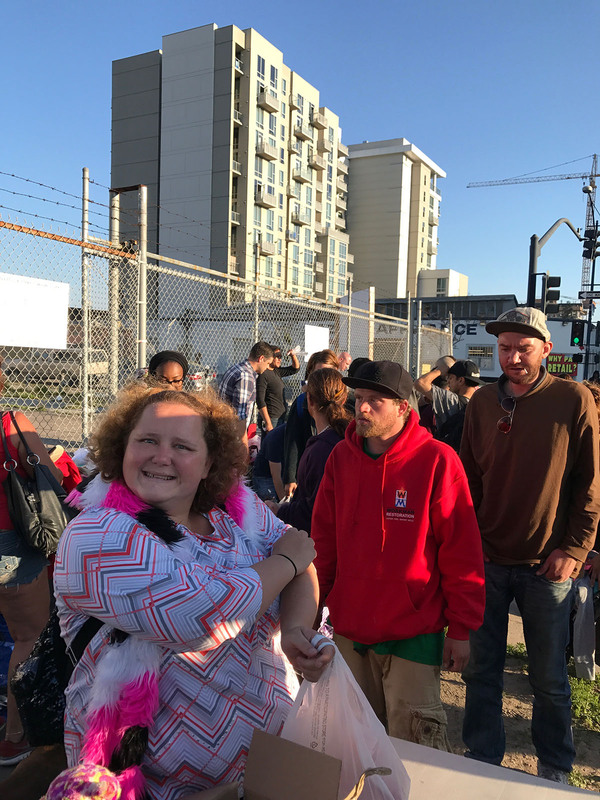 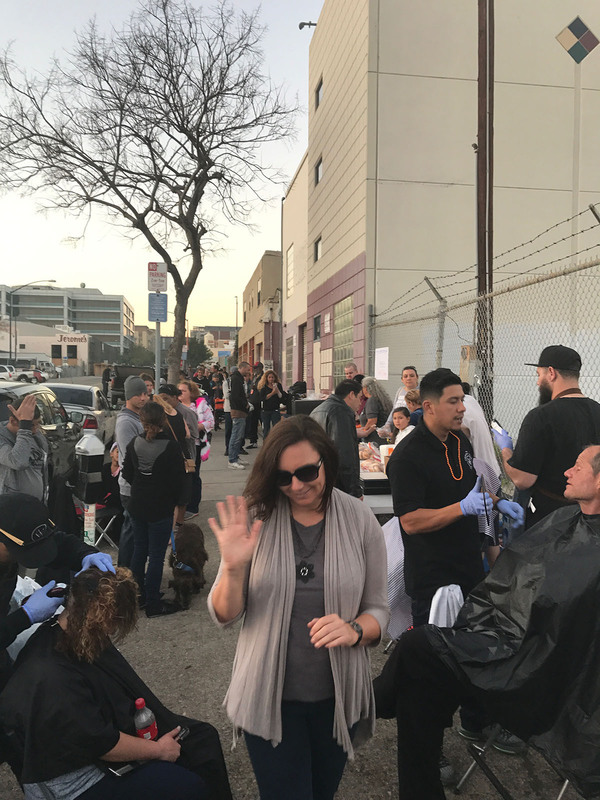 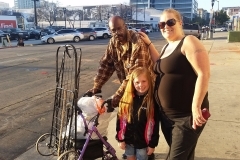 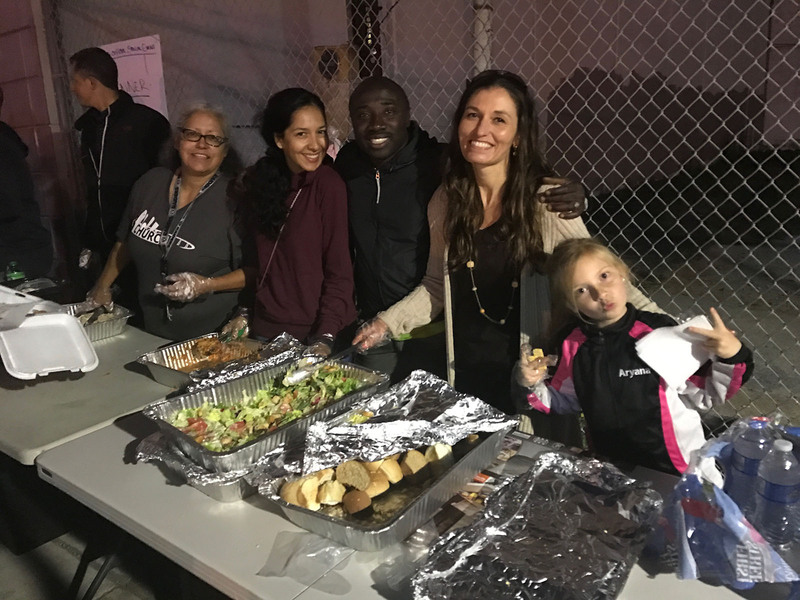 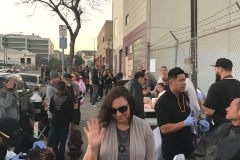 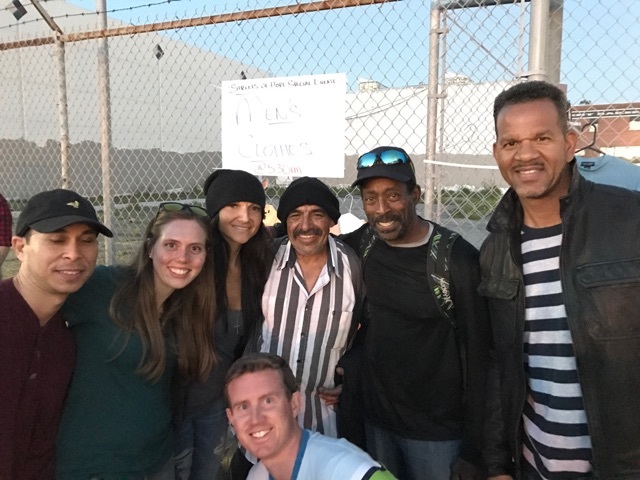 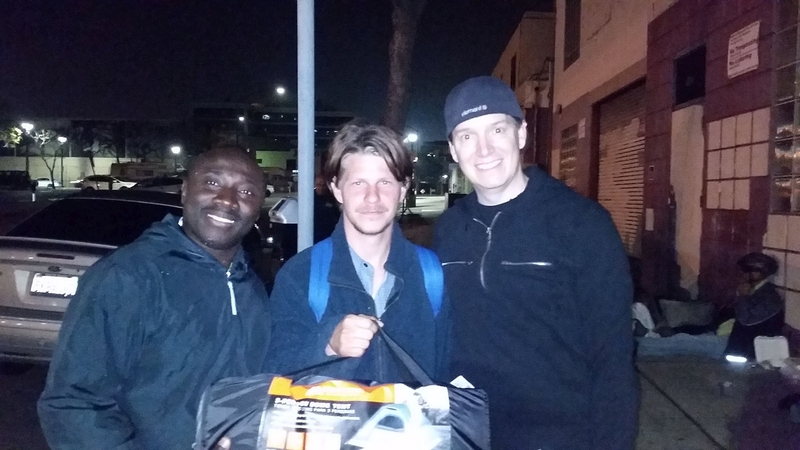 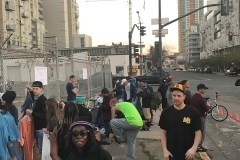 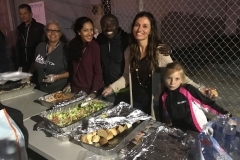 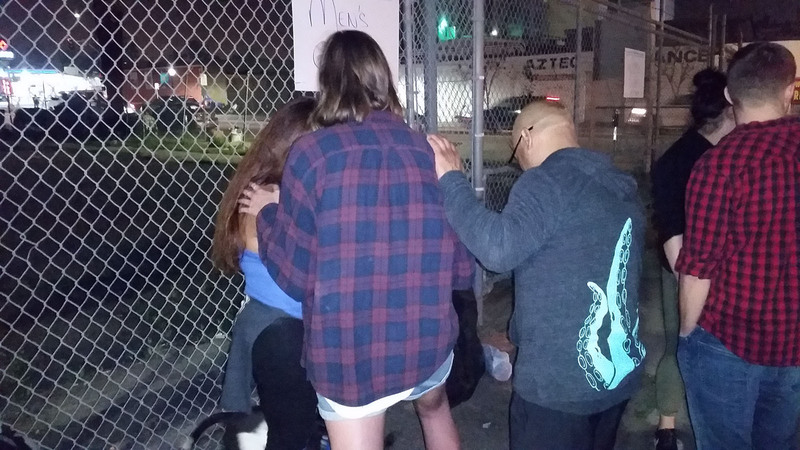 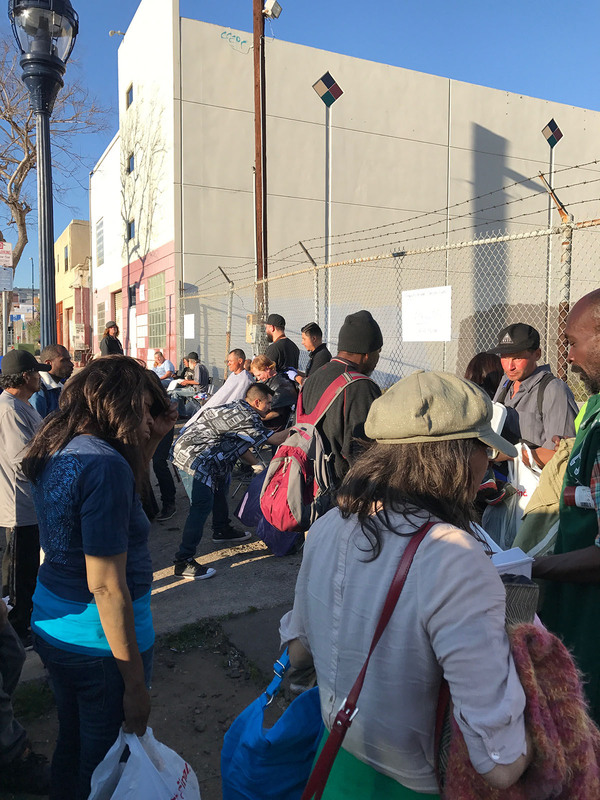 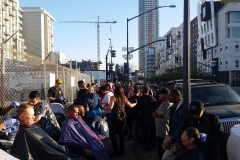 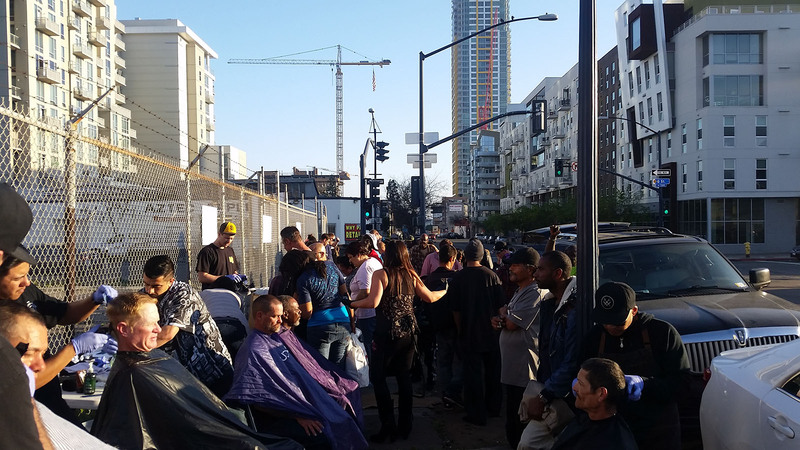 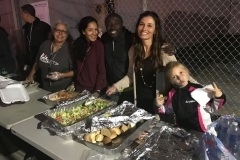 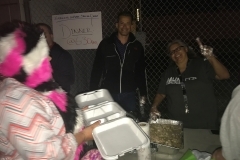 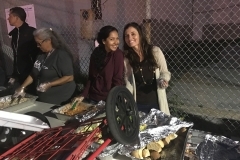 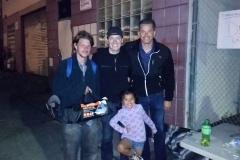 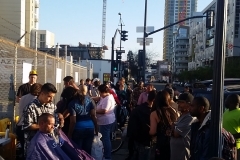 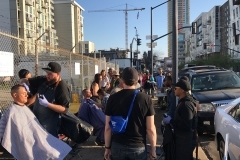 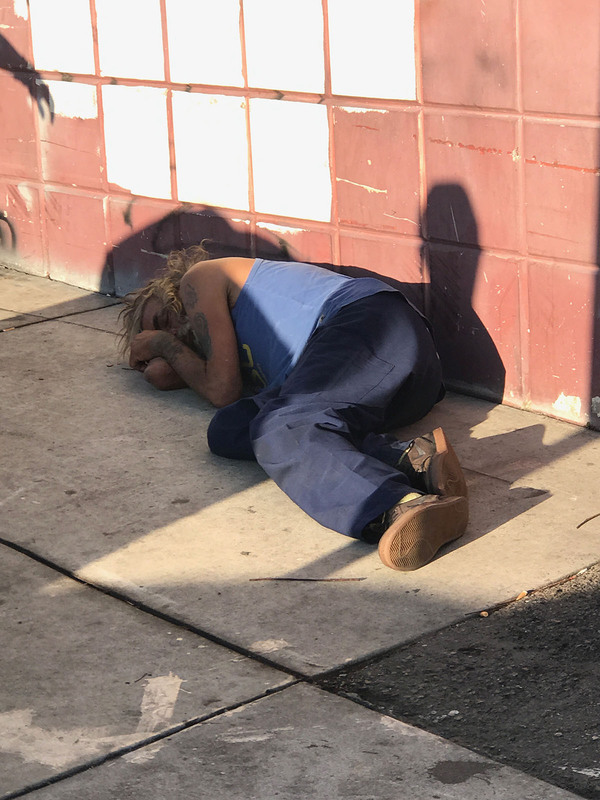 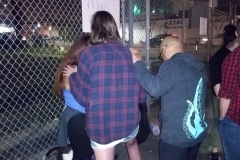 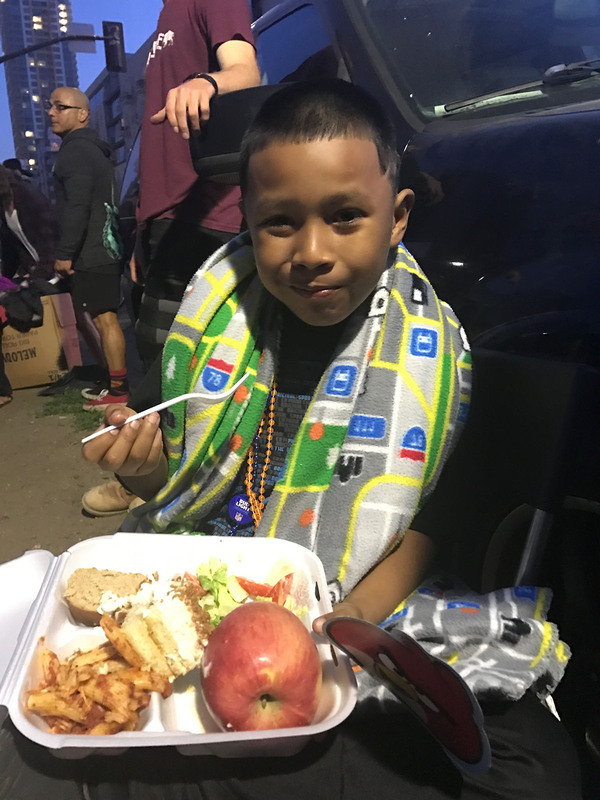 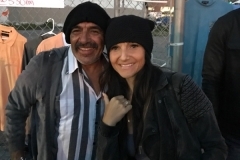 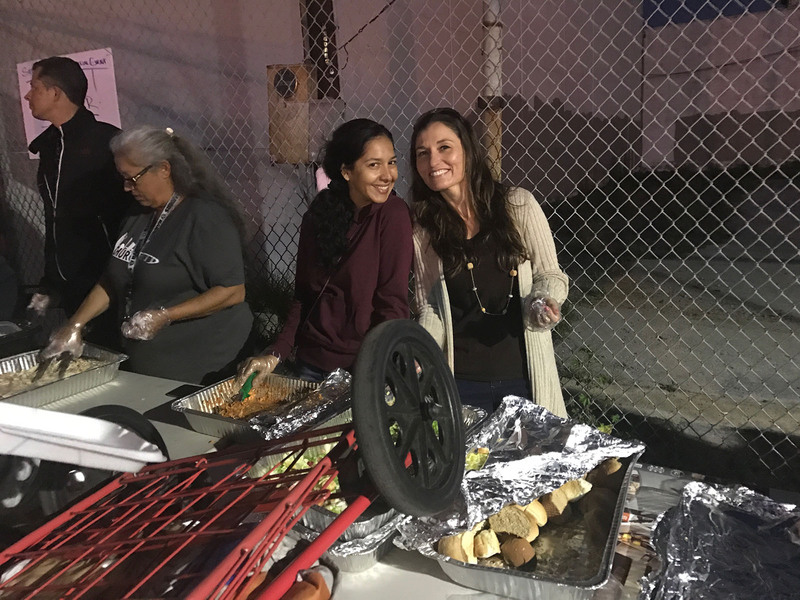 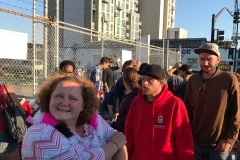 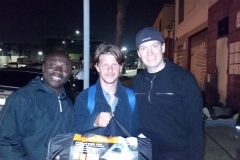 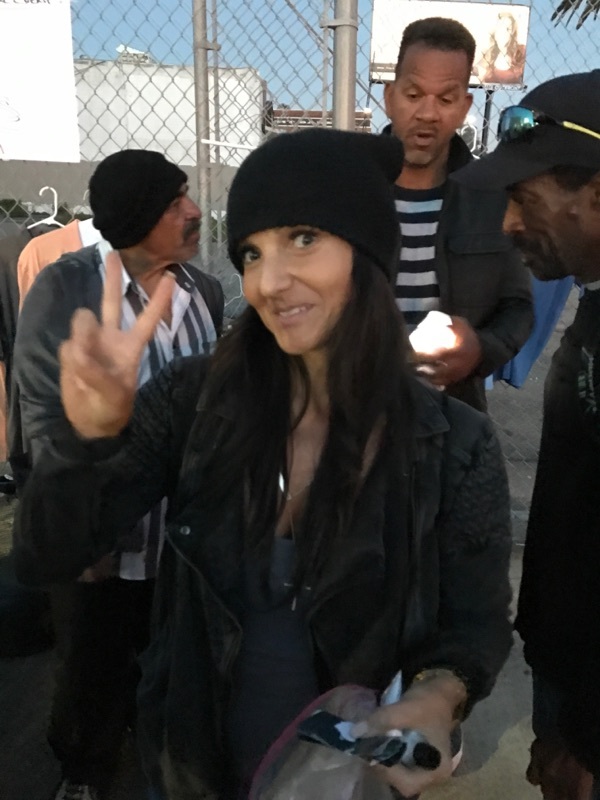 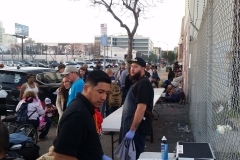 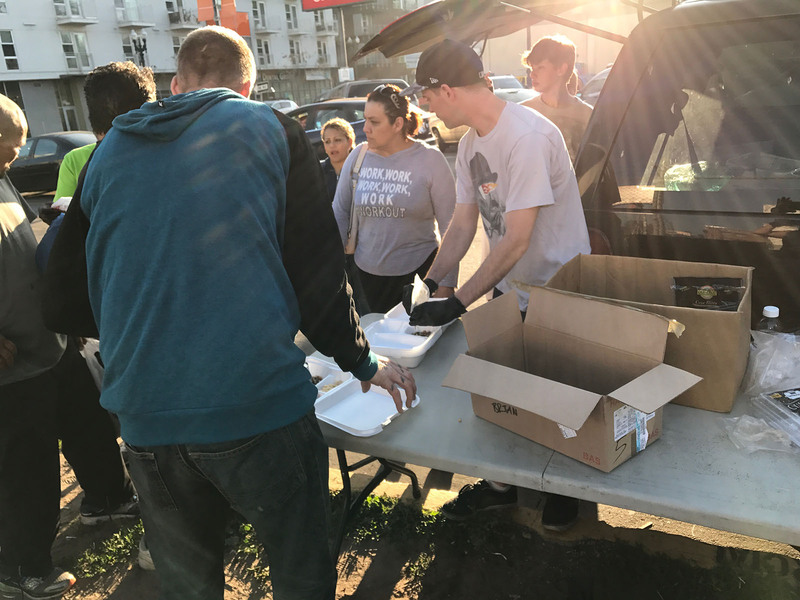 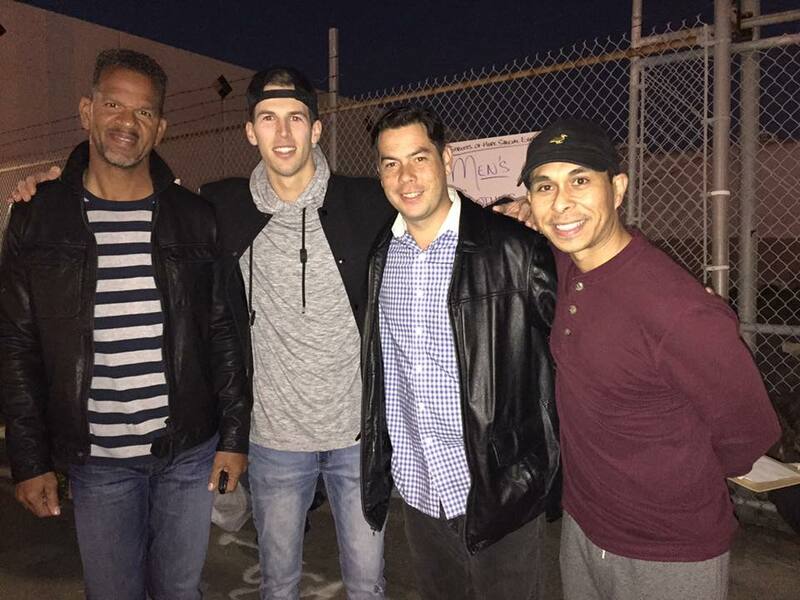 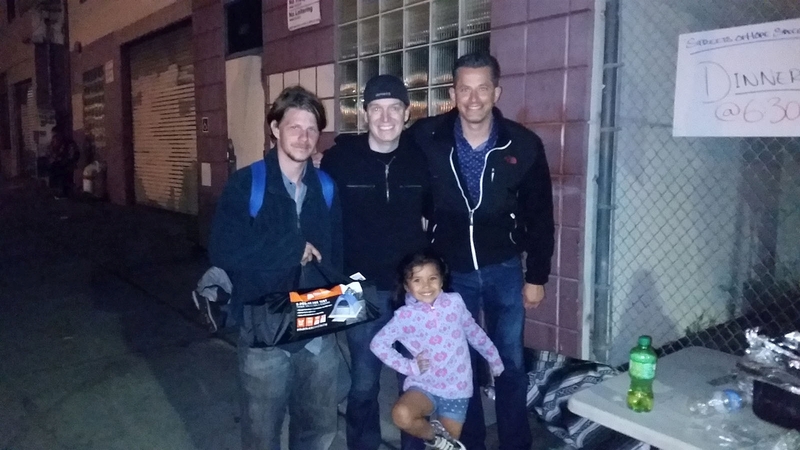 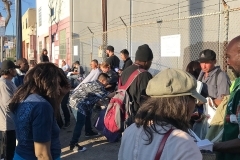 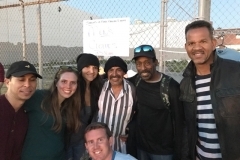 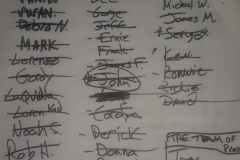 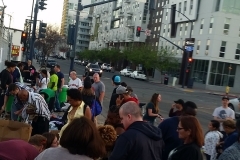 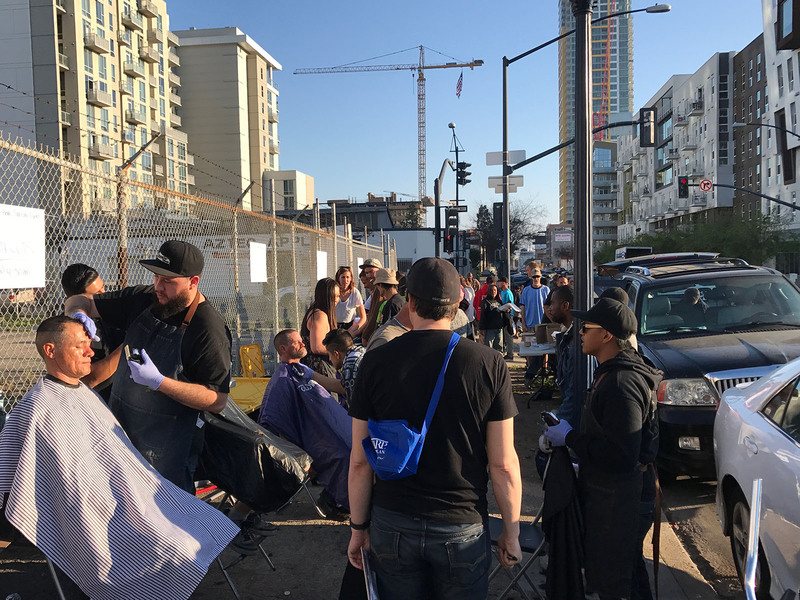 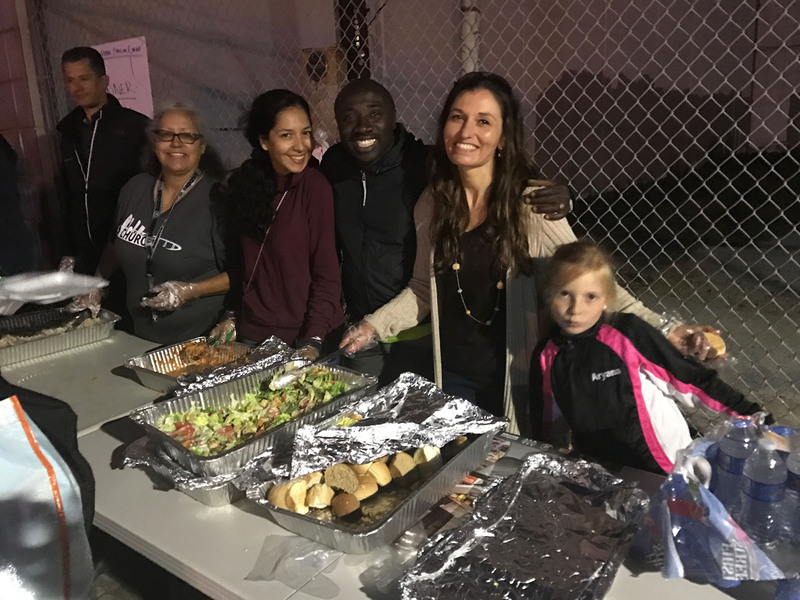 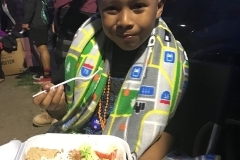 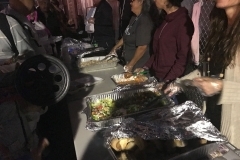 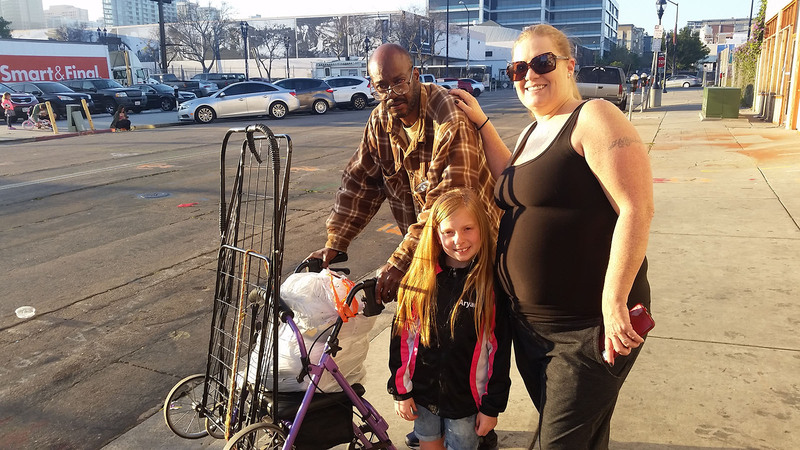 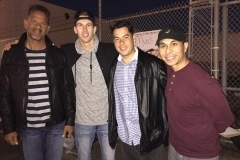 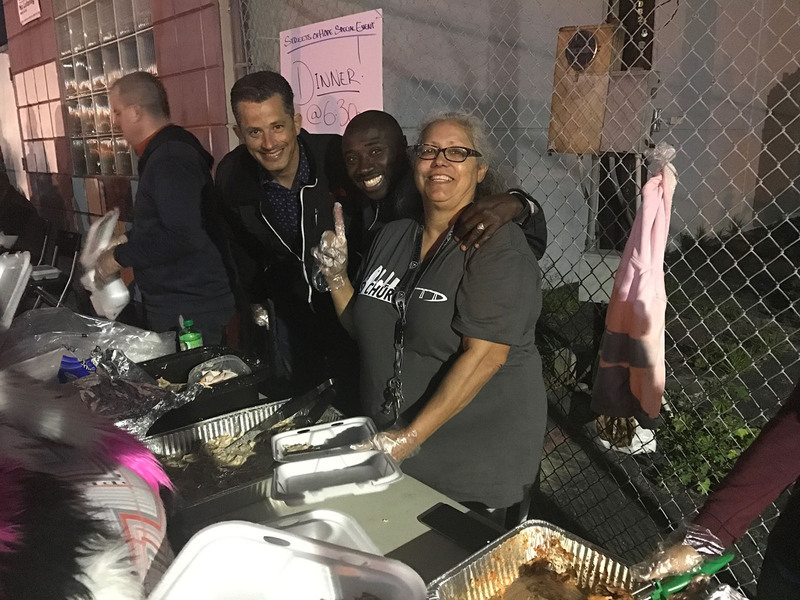 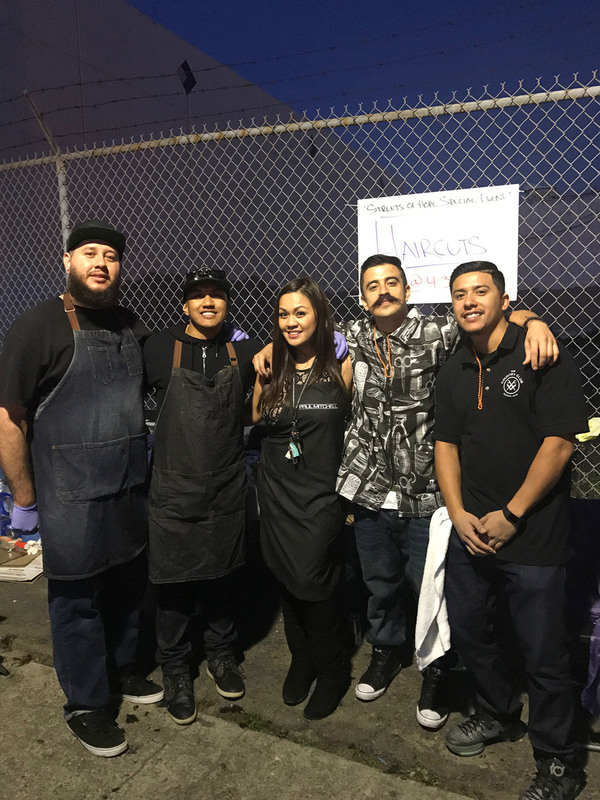 Every Monday night join us in serving San Diego's downtown homeless. 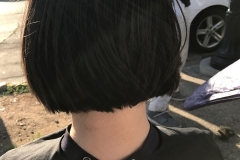 New visitors are welcome. 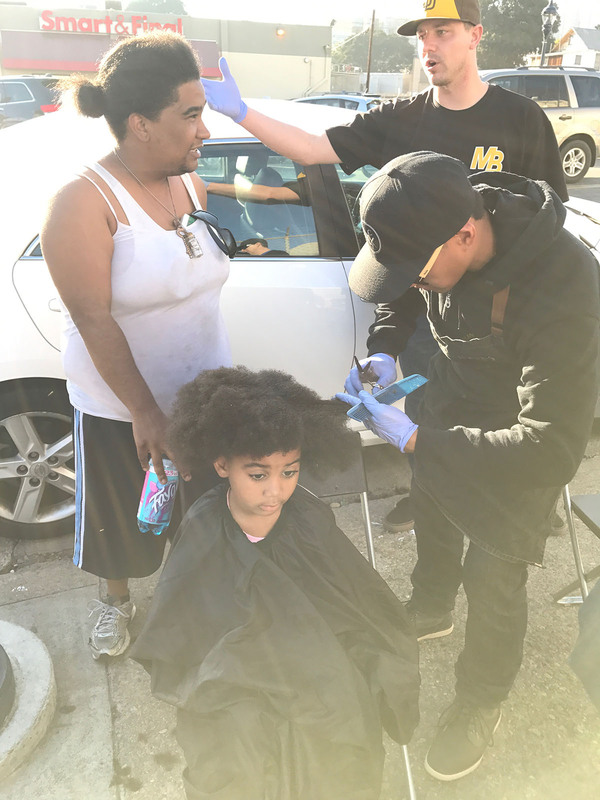 Come experience the joy of helping someone. 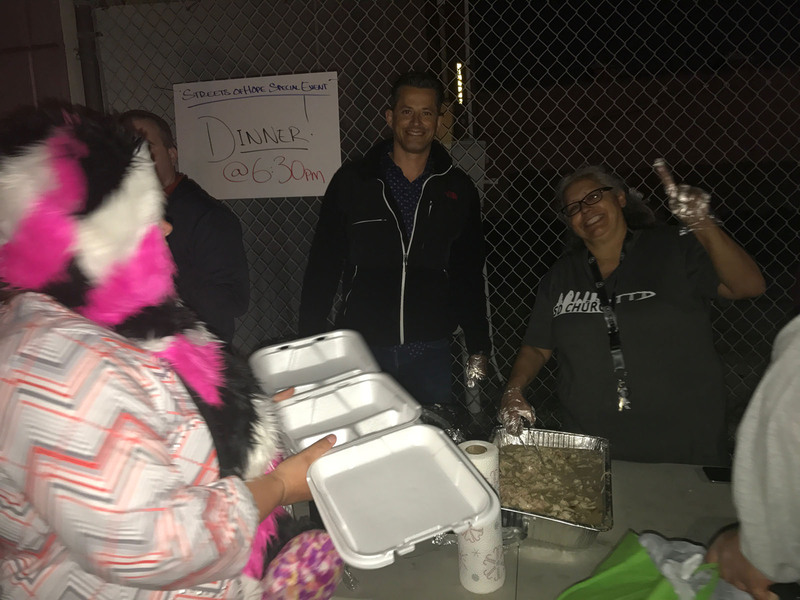 Secure Donation Form. 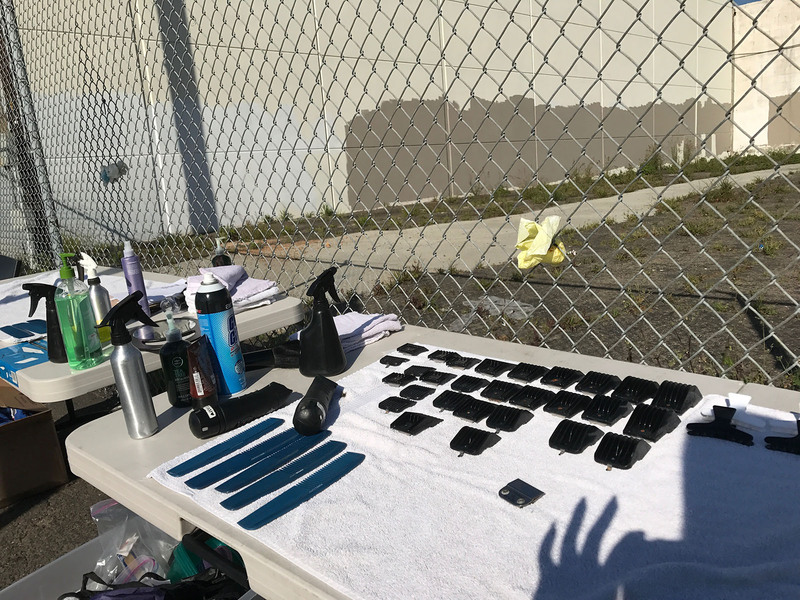 For extra security, we do NOT store your credit card data.